It has been more than four decades since there was a stock exchange operating in Scotland, but Project Heather plans to change that. A fully functioning Scottish Stock Exchange could be up and running before the end of the year. The unique selling proposition is that the Scottish Stock Exchange will be focused on companies with a positive social and environmental impact. These companies would not only come from Scotland, but from other countries. Scotland has not had a stock exchange since 1973 when the Glasgow-based market, which had merged with the London Stock Exchange along with other regional peers, was shut down. Earlier in that century there were also stock exchanges in Edinburgh and Aberdeen amongst other Scottish cities. The ending of trading in Glasgow happened around a decade before there was a rush of North Sea-focused oil and gas companies that came to the London market. They could have provided a base for a Scottish stockmarket. There are still some quoted Scottish oil companies, such as Cairn Energy, Bowleven and Eland Oil & Gas. There are a range of Scottish companies on AIM and the Main Market, but there are fewer than might be expected. Housebuilder Springfield Properties is one of the more recent entrants, having joined AIM in 2017. Others on AIM include football club Celtic, well head technology developer Plexus, healthcare charging software provider Craneware, retailer Quiz and technology company investor and adviser Frontier IP, which has a number of Scotland-based investee companies that have been spun-out of universities and could be future companies for the Scottish Stock Exchange. There are also Main Market companies that include Royal Bank of Scotland, soft drinks maker AG Barr, STV, bus operator Stagecoach and oil services provider John Wood. The company behind the move for the new market is Bourse Scot, which was set up last June by former Social Stock Exchange boss Tomas Carruthers. There have been small fundraisings for working capital, but a more significant cash call is required to get the market going. Kirkman Ltd, where Carruthers is a director and major shareholder, is deemed to be a person with significant control of Bourse Scot because it has more than 75% of the shares and can appoint directors. 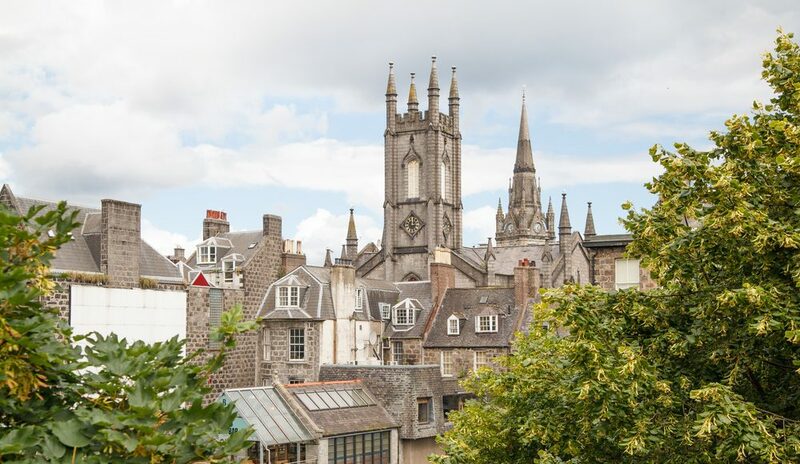 The Scottish Stock Exchange will be based in Edinburgh and the technology platform will be supplied by Euronext Technology. Carruthers argues that there are companies that do not consider floating in London, but they would consider a Scottish listing. He also thinks that a new market could lower the cost of capital for Scottish firms. Scotland has many developing cleantech and pharma companies that could float over the coming years. The Scottish government and politicians are unsurprisingly keen to support the new market and they believe that it would fit well with the Scottish Investment Bank. There has also been a positive response from most brokers. Carruthers has already started to talk to the FCA but gaining approval will be costly and time consuming. Even so, he believes he is on course to launch the Scottish Stock Exchange later this year. During the summer, he will start to go out and encourage companies to consider a flotation on the new market. As with any market, generating liquidity will be important to the Scottish Stock Exchange. The downfall of other attempts to start stockmarkets has been that there has been little or no trading in the shares quoted. NEX Exchange, which has been around for more than two decades, still has problems with encouraging liquidity in most of the companies on its market. AIM has plenty of shares that trade rarely. It will take time to build up investor interest. There is increasing interest in social impact investing, so there should be potential demand for the social and environmental focused companies that are being targeted by Carruthers. The quality of those companies will be important, though.